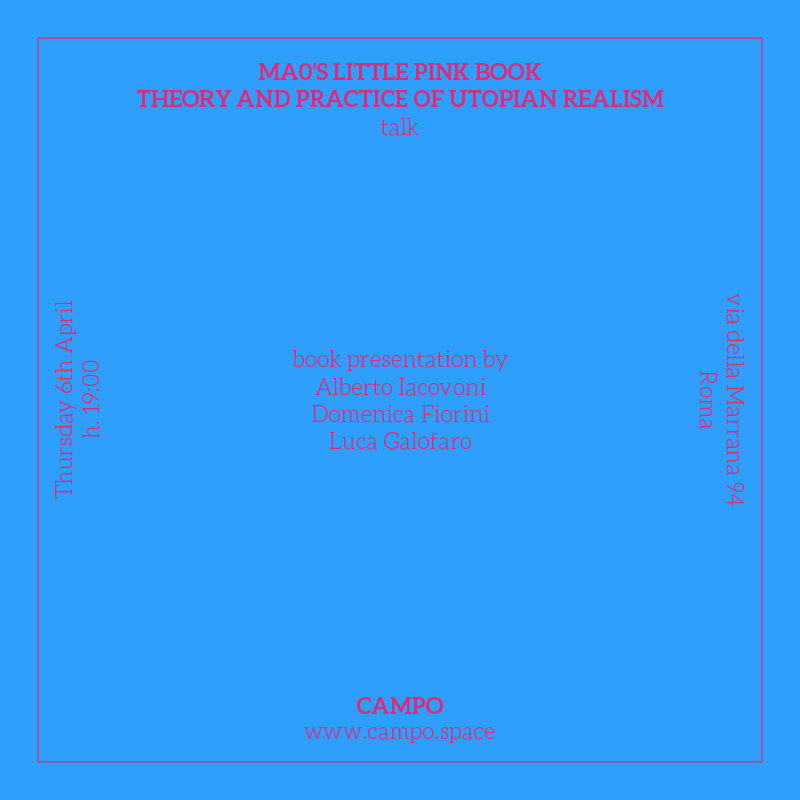 Written in the magnificent academic isolation of an American university in Qatar, therefore far away from the whirlwind of daily practice, “Ma0’s little pink book” is the sum of two sections – one more personal, abstract and projected towards the future, the other more practical and plural, the expression of fifteen years of practice. The two sections relect the same way of working and looking at the world: the utopian realism – an attitude that, rather than relying certainties, constantly strives to question everything in order to justify, every time from scratch, the reasons of design as well as the validity of general principles by confronting them with the complexity of specific contexts. Theory and Practice of Utopian Realism is a guide you may use whenever you have to start your path from the beginning to rediscover the truth of architecture from an unbiased point of view by constantly exploring very different places, and moving from one stand to the other, from the peaks of utopia to the platitude of daily life, and finally standing in the middle, in the relentless tension between the two opposites even though you may end up crushed like a bunch of grapes. 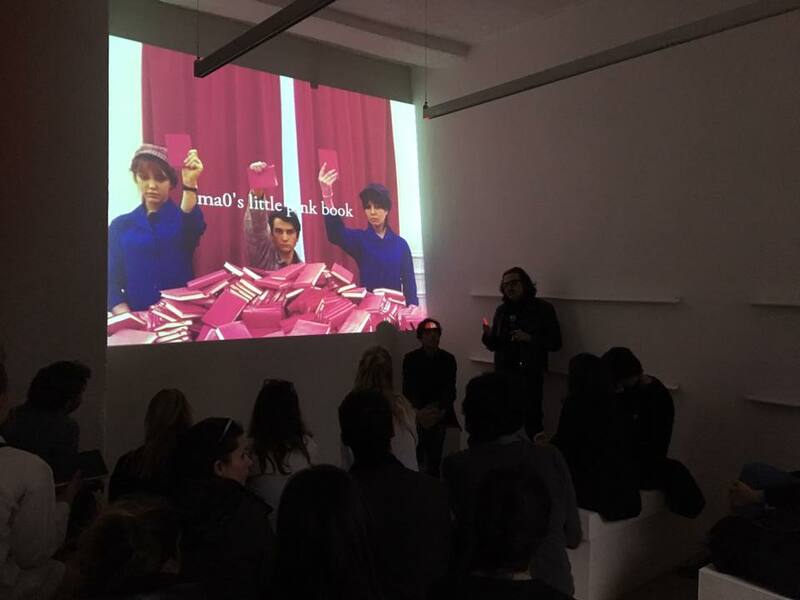 Alberto Iacovoni, architect, co-founded ma0 studio d’architettura (www.ma0.it). From 2000 to 2004 he was a member of Stalker / Osservatorio Nomade. The public, interactive and evolutionary dimension of architecture vis the focus of his work with ma0, and of texts such as: Game Zone, playgrounds between virtual scenarios and reality (Birkhauser 2003), Playscape (Libria, 2010) and Borderlines (Damdi 2008), a monograph devoted to the firm’s work. He has taught at several universities including Cornell in Rome, Syracuse in Florence, Virginia Commonwealth University in qatar. He was Director of IED Rome.